Planned Maintenance Program Customers enjoy many benefits like Reduced Labor Charges, Lower Mileage Rates, Priority Scheduling, and more! When your scale needs to be calibrated, we can handle that promptly & efficiently with NIST traceable standards and documentation. Emergency loaner and rental scale equipment is available to keep your operation running. 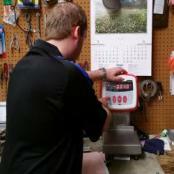 Almost all scale manufacturers recommend some type of periodic calibration and maintenance routine for your digital and mechanical scales and balances to be performed throughout the year. Central Carolina Scale can help you set up and maintain these important checkups, so that your scale service and calibration schedules are followed properly. 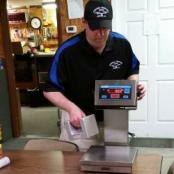 Our state certified scale technicians arrive prepared to provide these essential services, ensuring your scales are weighing accurately. Complete documentation will be provided, usually the same day. Have your scales been certified lately? You may be surprised at how affordable it is to have the accuracy of your devices assured year round. A lot of folks used to call this a service agreement for monthly, quarterly, or semi-annual calibration intervals but nobody wants to be in a "contract", so that terminology is rarely used today. Then it became a "preferred" customer program, which kind of implies that we prefer one customer over someone else which wasn't ideal. So let's call it a Planned Maintenance Program. As a Planned Maintenance Program customer; calibration and repair services are performed throughout the year at certain agreed upon intervals. At your direction, we can notify you of upcoming scheduled calibrations to ensure the time is convenient for you and the equipment is available to be checked. 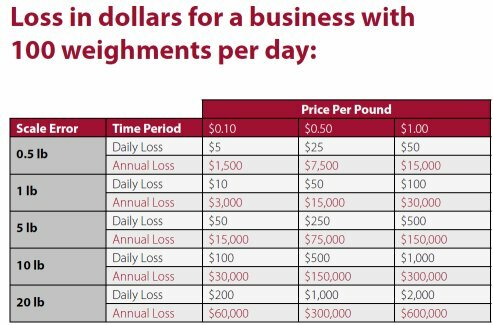 Planned Maintenance Program customers, can easily budget scale maintenance at a fixed cost for an entire year. This includes charges for scheduled calibrations with travel costs. Also, if you need to set up a service call, you will benefit from reduced labor rates and reduced mileage charges. If you feel there is an issue with a repair, installation, equipment, employee, etc... you will have direct access to the owner to discuss the issue. We will not hide behind multiple layers of management to ignore your issues and concerns. You are dealing with a family owned company & your concerns will be listened to and addressed. Our headquarters is open five days a week between the hours of 8 AM to 4:30 PM. Our customer service representatives will schedule an appointment that is convenient for you. If you need us to do so, before our technician arrives, we can call or email you, so you know we will be checking your scales that day. We want to make sure you are not only a satisfied customer, but also feel confident enough to tell a friend or colleague about our company. If for any reason you are dissatisfied with our service or our people and would not consider telling a friend about our company, please let us know and we will do whatever we can to remedy the situation and correct any issue. 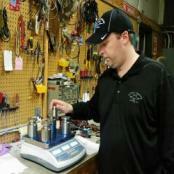 Our scale technicians are the best in scale knowledge, attitude, and workmanship. We provide extensive factory training and on the job training to keep them up to date on the weighing equipment we see on a regular basis. That means you get the most knowledgeable scale technicians in the industry. They will complete the job in a timely manner with precision. They will clean up when they are finished and will take personal responsibility for your satisfaction. If, when they have finished, they have not performed in accordance with these high standards, please let us know, and we will do everything in our power to correct the situation and make it right.